The wet weather and storms over the past few weeks have led to considerable windblow damage in some Irish forests and, according to Teagasc, the Munster area has been especially hard hit. Estimates of the area blown over and/or damaged range from 4,000 – 8,000 hectares on a national level, it said and it is urging forest owners to take action now. By taking timely action, severe financial losses can be avoided, it has advised. “Extensive damage has occurred to both individual trees on farms and also to forestry plantations,” noted John Casey, Forestry Adviser with Teagasc in Cork. 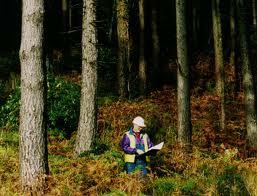 To find out what your options are, or what steps to take next, contact your local Forestry Advisor. Contact details are available from your local Teagasc office or visit www.teagasc.ie/forestry/staff.